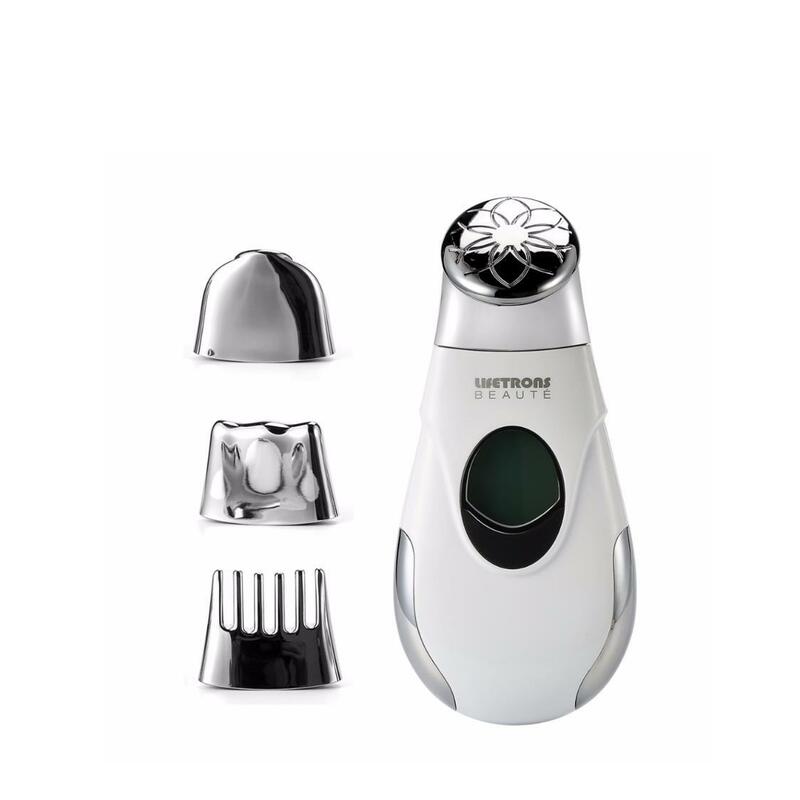 4-in-1 design with interchangeable massage heads for eye, face, body and scalp care. 5 levels of positive and negative ion treatment depending on your skin's needs. Negative ions may help deliver nutrients from cream or serum deep into skin's layers. Positive ions may help release dirt and debris from pores while cleansing the skin. Eye, facial and body massage with micro-vibrations and galvanic ions may help improve blood circulation and relieve fatigue. Scalp massager may help relieve stress, improve blood circulation and strengthen hair. Rechargeable design with long lasting battery life.